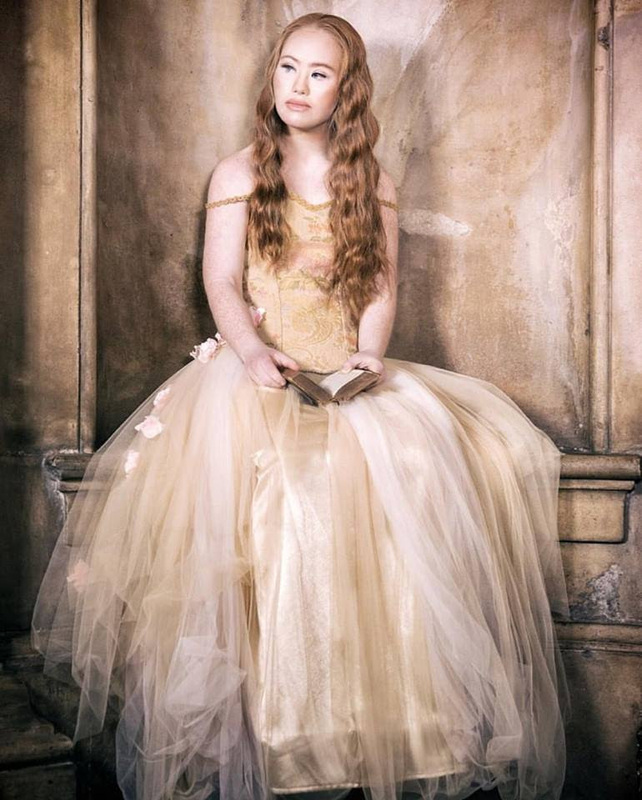 WITH her clear blue eyes and strawberry blonde hair, Madeline Stuart is strikingly beautiful but she’s fought incredibly hard to earn a place on the catwalk. The 21-year-old model with Down’s syndrome has just come off the plane after walking seven shows in New York Fashion Week – and will now take to the catwalk for London Fashion Week. And now, in an exclusive interview with Fabulous online, her mum Rosanne, 46, has revealed it is the 21-year-old’s ultimate dream to be a Victoria’s Secret model. “All the supermodels eventually go on to be Victoria’s Secret models,” Rosanne said, of her daughter who is from Brisbane, Australia. Maddy was the first woman with Down syndrome to walk in London Fashion Week last year. This year she is doing four shows, including walking for the designer Coleen Morris at Fashion’s Finest. She has gained a global following, with 185k followers on Instagram and has also walked in Paris Fashion Week, Runway Dubai, Mercedes Benz Fashion Week China and Birmingham Fashion Week. Her mum is understandably proud. Rosanne said: “Maddy was the first person with an intellectual disability to walk in all these shows. She was the first to get a work visa in America. She was the first to have an editorial in Vogue. “In America, so many people are pushing for diversity, and in London it is becoming better and better. “My daughter has opened the door. When people with disabilities see Maddy doing these things, it opens their minds to do things themselves. Rosanne says all the designers who work with Maddy treat her “beautifully” and understand she is a professional. “They believe in her and they believe in her cause,” she explained. She knew she wanted to be a model when she visited her first fashion show three years ago. She turned to her mum sitting next to her in the audience, and said, ‘Mum, me, model,” her mum said. “I love modelling because when I’m on the runway, everyone is looking at me and smiling and I feel beautiful,” said Maddy, who met her boyfriend, Robbie, 22, who has an intellectual disability, at the Special Olympics. She explained how, in the future, she wants to model for the big names including Louis Vuitton, Chanel and Dior. Her favourite parts of getting ready for a show are the hair and make-up. When Maddy told her mum that she wanted to be a model, Rosanne knew that she would do everything that she could to help her child achieve her dream. At the time she was overweight, and she struggled to keep up with her friends at school. Her size was also dangerous for her as she had a heart condition, with three holes in her heart and a leaky valve. Just eight weeks after she was born, she had to have open heart surgery, where doctors gave her a 13 percent of survival. With the dream in front of her of being a model, she lost more than three stone by cutting out junk food and working out with a personal trainer six days a week. Her mum posted a ‘before and after’ photo on her official Madeline Stuart Facebook page, which went viral and attracted designers and worldwide modelling attention. Maddy also competes in the Special Olympics, for children and adults with intellectual disabilities, playing basketball and cricket. As soon as Maddie hears her mum say her boyfriend’s name to me on the phone, she repeats it several times – she can’t wait to see him when she’s back home. Rosanne will support her daughter to keep modelling, as long as she keeps having fun. “Maddy loves it, she just wants to be on that catwalk every day,” she said.